KIEV, Ukraine -- Ukraine's defence minister said Russia had moved forces into eastern Ukraine and there was a risk of fighting resuming between the army and pro-Russian separatists in coming months. 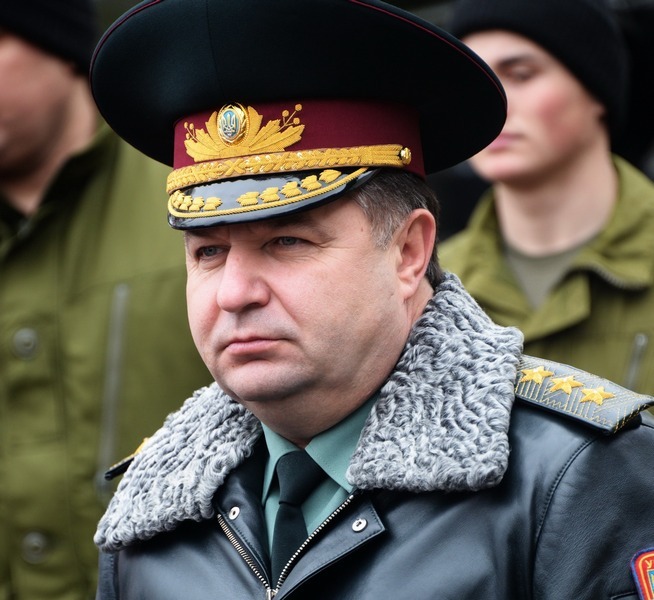 Ukraine's Defence Minister Stepan Poltorak said the Russian-supported separatists' actions are difficult to predict. Violence has been less intense in Ukraine's east since a ceasefire was brokered in Minsk in February, but the two sides regularly accuse each other of violating the truce. Defence Minister Stepan Poltorak told a joint news conference with his Baltic counterparts in the Lithuanian city Panevezys the separatists were supported by Russia and their actions were difficult to predict. "A large number of tanks and artillery systems have been moved into the territory, and in the territory of Luhansk and Donetsk there are units of Russian armed forces," Poltorak said. "That is why we see a risk fighting will restart." Russia continues to lie and denies accusations that it has sent serving soldiers or weaponry across the border to support the separatists. Baltic states Lithuania, Estonia and Latvia, all NATO members and with ethnic Russian minorities, fear they could become a target of Kremlin pressure after the pro-Moscow rebellion in Ukraine that has put Russia at loggerheads with the West. The defence ministers of the three countries signed a memorandum of understanding on Thursday to consider joint procurement of medium-range air defence systems, which they currently lack. "Today we had a very good discussion how we can develop our joint air defence system for the Baltic countries," Latvian Defence Minister Raimonds Vejonis told the news conference.